The mother of a missing 17-year-old Florida girl who is four months pregnant says she is starting to assume the worst as each day passes without a sign of her daughter, MyFoxTampaBay.com reports. Leah Martin says her family has not seen or heard from her daughter Morgan Martin since Tuesday night, when she says her daughter went to go speak with the father of her baby. "She went outside. He was here, and we never seen her again. Never heard from her. No phone coming in or out of her phone, nothing," Leah Martin told MyFoxTampaBay.com. Leah Martin says her daughter had just found out her baby was a girl, and was eager to tell the baby's father. Morgan Martin left her home in pajamas and slippers, taking her cell phone but leaving all her other belongings behind. Leah Martin says her daughter was constantly reaching out to her baby's father to try and establish a relationship but she had discouraged her daughter from doing so. "I don't know, I just told her to quit bothering with it," Martin told MyFoxTampaBay.com. Authorities say the man identified as the baby's father has been interviewed. They have taken DNA samples from Morgan Martin's family members, but say they have not yet found any evidence of foul play. "I just assume the worst because there's been no contact and she is a family-oriented person," Martin told MyFoxTampaBay.com. A pregnant Florida teenager has gone missing after informing the father of her unborn child that the baby was a girl. Morgan Martin, 17, was last seen on July 25 in St. Petersburg, Florida after leaving to see the 26-year-old man from Kansas City, who was staying in the neighbourhood. Last seen around 12.30 a.m., Morgan's mother Leah Martin noticed her daughter's room lights and air conditioning were still on at 5 a.m. and assumed she was inside. He said he was going to come over and talk to her and so she told me, ‘Mom, I’m just going to go talk to him,' Leah Martin said to KSDK. After not seeing her for the majority of the day and after she failed to respond to Facebook and telephone messages, Leah Martin and Morgan's sister Sierra Cahill raised the alarm. ST. PETERSBURG, Florida -- There's a new development in the Morgan Martin case; the FDLE has stepped up to spread the word statewide. An alert was circulated today to all law enforcement agencies and news outlets after St. Pete Police asked for help. "We don't really believe she's left the area. We still think this is a local issue, but just to cover all the bases, we did want to reach out to the FDLE and have them put out a statewide alert." 17 years old and pregnant, Martin disappeared from her St. Pete home on July 25, just minutes after stepping outside in her pajamas to speak with the father of her unborn child. It was last time she was seen or heard from. Martin's mother, Leah, believes the father of Morgan's unborn child is somehow involved. "He may have caused the problem of what happened to her, where she is." But St. Pete Police say they've already questioned the father of Morgan's baby, and others. "It's just not a question of talking to him. Obviously, anytime you have an investigation of this type, you talk with all the person who've had a significant relation with her. That's certainly one person we'd talk to, but there are other individuals we need to look at." But for the first time since the night of Martin's disappearance, police say she is in danger. 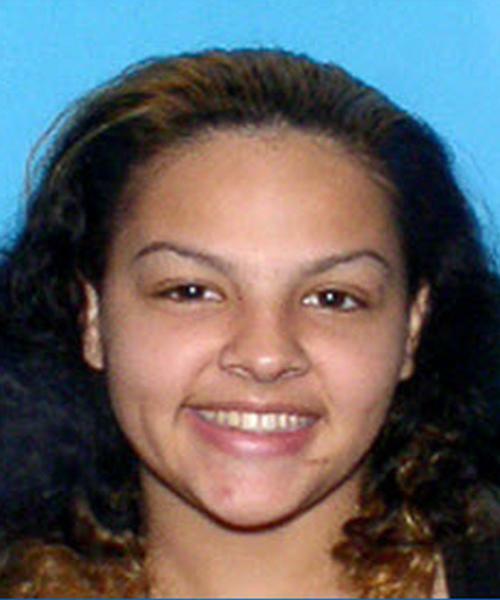 ST. PETERSBURG — A $1,000 reward has been issued for information on a pregnant teenager who has been missing for more than two weeks. Anyone who provides information in the disappearance of Morgan Keyanna Martin, 17, could be eligible for the cash, which was offered by Crime Stoppers of Pinellas County (FL). Martin, who is four months pregnant, has been missing since July 25, 2012. The Florida Department of Law Enforcement issued a statewide alert this week indicating there is reason to believe her life may be in danger. Morgan disappeared after going outside to talk to the unborn baby’s 26-year-old father who she met on Facebook. Morgan Keyanna Martin, of St. Petersburg, Fla., stepped outside her house to give the father — who has not been identified beyond the fact that he is from Kansas City — the results of an ultrasound. The scan had revealed she was expecting a girl. Her Mom, Leah Martin, reportedly warned her daughter about spending time with the baby’s father. “I told her, ‘Morgan, you don’t want anything to do with him … You’re a kid. If he gets caught with you, he’s going to jail,’” she said. Police have one slim clue: Morgan may have gotten into a white vehicle and guess what – The father to-be has a white vehicle. Is this an obvious case or what? Martin is 5 feet 2, 175 pounds and of mixed race. She has black hair, brown eyes and has a scar on her chin and the left side of her lip. She was last seen wearing a white tank top, a pink jacket with fur around the hood, gray bottoms and fuzzy pink slippers. The longer she is missing, the less likely she will be found unharmed, said St. Petersburg police spokesman Mike Puetz. Police have interviewed Martin’s friends, family and the father of her unborn daughter. They have not named any suspects. Morgan Martin would now be six months pregnant, but no one has heard or seen the 17-year-old for six long, agonizing weeks. "Even if she's not alive, she doesn't deserve to be out there, that's the hardest part, still," said Morgan's mom Leah. Leah says St. Petersburg police are working on leads, but so far no one has been arrested, and Morgan is still not home. "She's missed all her doctors appointments, her dentist appointment, everything," Leah continued. In the early morning hours of July 25, Morgan walked out of her St. Pete home and vanished. Leah says earlier that day her daughter was excited to learn she was having a baby girl and wanted to share the news with the baby's father. When a man drove up to her home, she ran out of the house in pajama's and slippers and grabbed her cell phone. Since her disappearance, Equusearch, a Texas search and recovery team, has been on standby waiting for police instructions. Detectives, Leah says, are also monitoring chatter online. She believes they may be close to a break in the case. "The detective told me, just hold on. I said OK," said Leah. There's also a Facebook page, Hope For Morgan Martin, where pictures and videos have been posted of a recent candlelight vigil. In Morgan's room, time has stood still. Her purse is still on the floor and her unmade bed is just as she left it. All that's missing is the bubbly 17-year-old with the golden smile. "I'm not worried about pointing fingers at anybody, I just need to see my daughter," added Leah. Christmas Day will mark 5 months since Morgan Martin disappeared. The 17-year-old walked out of her Saint Petersburg, Florida home around midnight on July 25th, wearing only her pajamas. She stated that she was to meet up with the 25-year-old father of her child, who she met on Facebook. Then she vanished. She has turned 18 since her disappearance, at which time she was four months pregnant. Morgan's mother, Leah Martin, is not feeling the Christmas spirit this year. She has not put up any decorations, not even a tree. She says, "It's not necessarily losing hope. It's just, I'm just tired. And I think everybody's just getting tired." Authorities have investigated many leads, but have blatantly stated that they don't know where she is, and they don't have any persons of interest in her disappearance. Could the father of the baby have done something to harm her? Leah Martin told Jane Velez-Mitchell that her daughter was not dating this man, that they were just messing around, and that he currently has a live-in girlfriend. While he is not officially a suspect in Morgan's disappearance, he kind of is. He is the last person she was known to be with, and now she's gone. Hmmm, fishy. It's unlikely that she chose to walk away to start a new life with only her pajamas and cell phone. It has been said that Morgan's disappearance has been overlooked by the media because she is of mixed decent. While that may be true, it is far more likely that her disappearance was overshadowed by the disappearance of Lyric Cook-Morrissey and Elizabeth Cook, who went missing in Iowa about 2 weeks prior. Their case received tons and tons of media coverage, not so much because they were white, but more so because they were children, like, actual young children. Where is Morgan Martin? Are she and her baby still okay? If she was 4 months pregnant when she disappeared, and has been missing for 5 months, she should be giving birth really soon. Hopefully she is somewhere safe, waiting for the joyous event. That possible outcome is far better than the alternative. 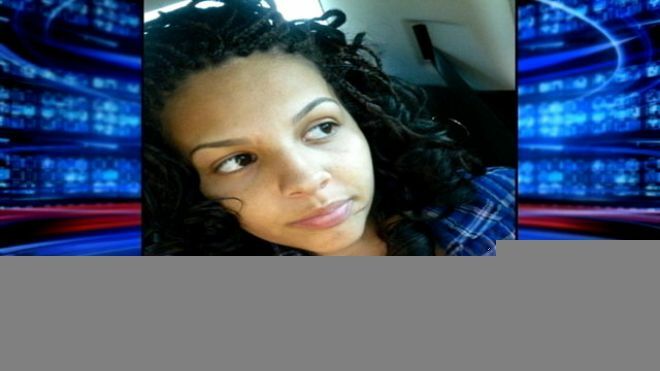 ST. PETERSBURG, Florida (AP) - Police are investigating the disappearance of a pregnant teen who was last seen July 25. The Tampa Bay Times reports that Morgan Martin's 18th birthday was on Dec. 1. Her due date is Friday. Martin's family says she was last seen leaving her family's home in July. She was on her cellphone and told her family she was meeting someone outside. She never came back. Police say the case is "active," but caution that the likelihood the teen encountered foul play is high. A $1,000 reward for information remains unclaimed. St. Petersburg police detectives have interviewed friends, family and the father of the teen's unborn baby. No suspects have been named. This was supposed to be a joyous day in the lives of teenager Morgan Martin and her family. She was due to have a baby girl. "I'd love to get a hospital call, I'd love to," said Martin's mother Leah. But there haven't been any calls from a hospital or her daughter. Morgan Martin vanished without explanation after midnight on July 25th wearing pink slippers and pajamas. The girl had her cell phone but left her purse, money and all other belongings behind. "I'd give my life right now to have somebody say something," said Leah Martin. Martin says her daughter, who was 17 when she went missing, told her she wanted to step outside of their St. Petersburg home at 2808 17th ave S. and speak to the man she claimed was her unborn child's father. "I told her just to stay away in the house and leave him alone and she just wanted to tell him she was having a girl," Martin said. Police say they've interviewed that man, 25-year old Jacobee Flowers several times but are not naming him as a suspect. "His cooperation level has been very high according to what detectives have told me," said St. Petersburg police spokesman Mike Puetz. Police say the pregnant teenager's disappearance is under active investigation. Detectives are optimistic about solving the case but less so about the outcome. They suspect foul play and so does Morgan's mother. "She deserves to be with her family," said Martin. "She deserves to be home. Whether it be for the worst or for the better, I deserve to have my child." Martin takes some solace in missing person buttons worn by friends that bear her daughters photo, a Facebook page called "Hope for Morgan Martin and a $1000 reward in the case. But even those things can't fill the emptiness of her daughter's room which she keeps intact while hoping for Morgan's return. The family threw a party for Morgan's 18th birthday last month despite her absence and held a candlelight vigil in August. Getting through the Christmas season without Morgan, her mother said, has been difficult for her and her two other children, a 20 year old daughter and 23 year old son. "It's rough," Martin said. "I mean it's really different." The last time Florida mother-to-be Morgan Martin, 17, was seen by her family was just after midnight on July 25, 2012. Eighteen months later St. Petersburg police say they are still looking for her. The teen-- four months pregnant at the time—had just stepped outside the family home at 12:30 a.m. to chat with the man she said is the father of her unborn child—a 25-year-old man she met on Facebook. According to St. Petersburg police, the man, whose name was not released, was questioned but, in the absence of evidence linking him to the missing girl, has not been charged in the matter. Such an occurrence is not unusual, said Natalie Wilson, co-founder of the Black and Missing Foundation. “Sadly Morgan’s story is not uncommon. It happens more often than we think,” Wilson said in an interview with NewsOne . “There are risks when dating someone you have met online. You just don’t know who you are dealing with—their character, personality and background,” said Wilson, whose Landover Hills, Md.-based organization maintains a database of women, young men and children of color who are missing. Leah Martin said her daughter met the man when she was 16-years-old. According to St. Petersburg police, the man, whose name was not released, was questioned but, in the absence of evidence linking him to the missing girl, has not been charged. In the 18 months since Morgan went missing, there hasn’t been a recent post on her Facebook page. To keep the memory of her daughter alive, Martin and her family created a Hope For Morgan Martin Facebook page in hopes to find Morgan and answers about her whereabouts. “I should have the right to put my child to rest. I should have the right to know where my child is,” said Martin. She said the last time she saw her daughter she was wearing grey sweatpants, white tank top and light pink fuzzy slippers with a dark pink hoodie.